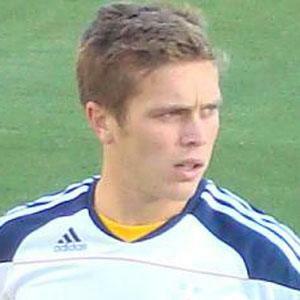 Midfielder who joined the Los Angeles Galaxy in 2010 after beginning his professional career with the Chicago Fire Premier in 2007. A star soccer player at UCLA, he was voted the Bruins' Rookie of the Year in 2006 and All-Pac 10 First Team his senior year. He won MLS Cups with the Galaxy in 2011 and 2012, while also winning the Supporters' Shield during the first Cup run. He was born in Hinsdale, Illinois. He played alongside David Beckham on the LA Galaxy from 2010 to 2012.